The Alumni Support team is WPAOG’s center for services assisting USMA Classes, West Point Societies, organized alumni groups, and individual graduates. For Classes: serve as an extended staff/liaison at West Point, world-class reunion support; administration of 50-Year Class Affiliation Program events, the Class Ring memorial program; and mentoring officers of Cadet Classes. For the 140+ domestic and international West Point Societies: serve as an extended staff/liaison at West Point, as well as providing advice and support for Army football away-game tailgates, Founders Day activities, special events, and administering the Distinguished Society Award program. For our individual graduates and their families we offer memorial affairs assistance; robust career and professional networking services; affiliate membership administration. General support services include superb online events and registration services, and proponency for the annual West Point Alumni Leaders Conference, Thayer Award, and Nininger Award for Valor at Arms. 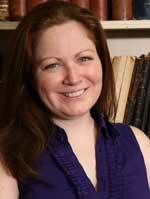 The office manager for Alumni Support is Bridget Suarez: bridget.suarez@wpaog.org; 845.446.1512.